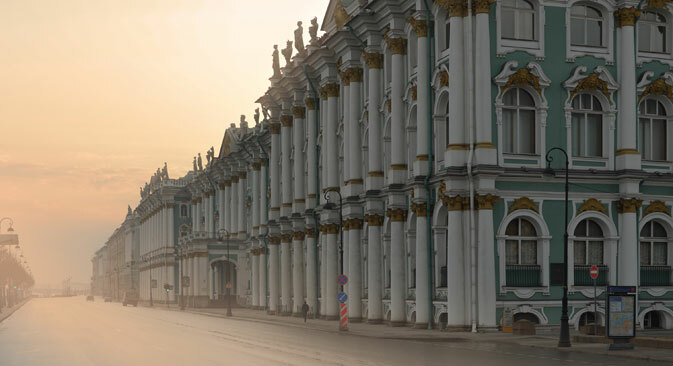 One of the richest museums in the world and Russia's largest treasure house of art, St. Petersburg’s State Hermitage Museum celebrates its 250th birthday this year. RBTH reports on the museum’s recent expansion into a new building and its embracing of contemporary art, and finds out what its plans are for the future. In 2014 the Russian State Hermitage Museum in St. Petersburg was elected the best museum in Europe by users of the world's largest tourism website TripAdvisor, leaving behind the Florentine Academy of Fine Arts and the Musée d'Orsayin Paris. For its 250th birthday the Hermitage is witnessing its own revival. In fact, the last time it grew and developed so fast was at the time of its foundation by Catherine the Great. The empress first established the Hermitage collection in 1764, having bought 225 paintings from a Berlin merchant that included Dutch, Flemish and Italian masters. Today the museum's depositories still contain 96 works from the original collection, which in the beginning was housed in the palace's secluded apartments. Hence the name of the museum: ‘hermitage’ means seclusion. But today the Hermitage is no longer a private collection hidden in several rooms. Like all museums with a world-famous name, it also has branches abroad. The Hermitage first entered the world stage in 2000, opening a branch in London's Somerset House and another one in Las Vegas a year later (the two branches closed in 2007 and 2008, respectively). Other affiliates were established in Amsterdam and Venice. But the main change in the museum's life in the last decades occurred in its native city, St. Petersburg: The Hermitage came into possession of the General Staff Building, which stands on the other side of Palace Square and which until then had never served as a museum. Ever since 1829, when the General Staff Building was erected, its parquet had been abraded not by the shoes of art lovers but by military boots. In 2013 a large-scale project helped reconstruct the eastern wing of the building, which now houses the modern art collection. Thus, the museum, which always had a conservative exhibition policy and earlier only occasionally exhibited modern artistic trends, has finally obtained an entire wing dedicated to this kind of art. Important exhibitions now take place in the Hermitage's new premises every year. In 2012 the premises hosted Jake and Dinos Chapman's exhibition "The End of Fun" in which the British artists expressed their opinion of the Third Reich in iconoclastic fashion. Last year the General Staff Building presented the Contemporary Art of Japan Exhibition, in which the main attraction was Motoi Yamamoto's extensive Salt Labyrinth installation. For art historian Natalya Semyonova, one of the Hermitage's unique traits is the accessibility of its exhibits, even those that are not on public display: "No museum in Russia, except for the Hermitage, has an open storeroom, which provides access to an enormous quantity of exhibits never seen by the public," she says, referring to the Hermitage storeroom in Staraya Derevnya in the outskirts of the city, which it is possible to visit by arrangement. According to American journalist and Russian culture scholar John Varoli, who lived in Russia for 13 years, the Hermitage’s location in the Winter Palace distinguishes it from other important museums: "For example, the Louvre has a more interesting collection, but its building seems austere and unattractive, whereas the Winter Palace, a magnificent and at the same time cozy imperial residence, mesmerizes the visitor with its interior,” says Varoli. “Sometimes the interior is more captivating for foreigners than the collection itself, which is definitely one of the best in the world." The Hermitage will celebrate its 250th birthday on the traditional date of December 7. "We will open everything," promises Piotrovsky. "The eastern wing of the General Staff Building, the new building in Staraya Derevnya, the building of the Small Hermitage, the Auxiliary House next to the Hermitage Theater. We have lots of plans, but the upcoming plans include exhibitions such as ‘Archeology in the Hermitage’, ‘New Acquisitions’, ‘Restoration in the Hermitage’, as well as exhibitions on window displays and the history of design." But the Hermitage's main objective for the future is to conserve the museum as a storehouse of global experience and to make this experience accessible, without necessarily striving to cash in on the brand. "Everyone always tries to understand the criteria for a museum's success and often they understand them in the manner of the accountant," Piotrovsky concludes. "But actually the criteria for a museum's success are its ability to have the visitors participate in it, to include the people who live in the museum's city and country, to have the visitors become a part of its life. A large museum such as the Hermitage is a very democratic cultural institution; it accommodates many people, it shocks and it has things for the most different kinds of people."